Novel methods in recent years have been developed for numerically solving the hydrodynamical and MHD equations relevant to all kinds of astrophysical flows. I will first (briefly) present one such computational technique, where the numerical grid follows the MHD flow using a "moving mesh". I will then present some astrophysical scenarios for which I have applied this method, including planet formation and high-energy transients such as supernovae and gamma ray bursts. 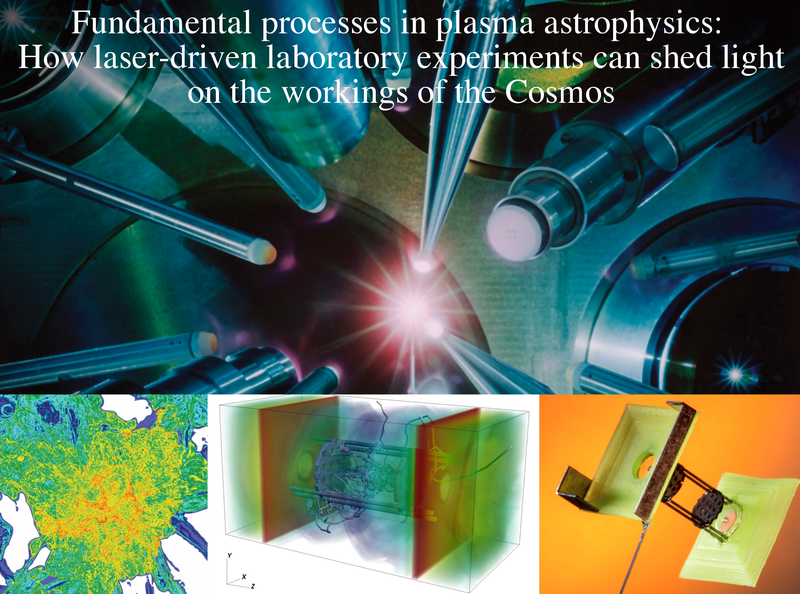 I present the exciting fundamental science in magnetized astrophysical plasmas that the Chicago-Oxford team is accomplishing through concerted application of the FLASH code and laboratory plasma astrophysics experiments. In particular, I discuss recent breakthrough experiments in the study of turbulent dynamo, a ubiquitous astrophysical process thought to be responsible for the present-day magnetization of numerous celestial objects but that had eluded laboratory plasma physicists for decades. 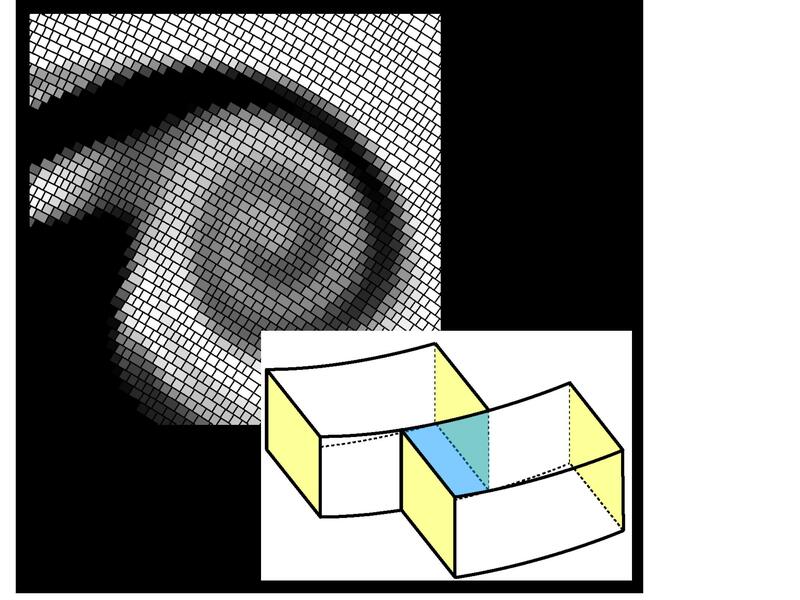 These experiments have enabled us to explore dynamo in various regimes that are important in astrophysics, providing us with a new tool to validate or falsify our theoretical understanding. I will also describe how these experiments are enabling the first laboratory investigations of cosmic ray (CR) acceleration mechanisms and the diffusive transport of extragalactic and ultra-high energy CRs - a key step towards identifying their sources and explaining the dipole anisotropy recently detected by the Pierre Auger Observatory. Technosignatures: What Are They, And How Might We Find Them? 1. When a distinguished but elderly scientist states that something is possible, they are almost certainly right. When they state that something is impossible, they are very probably wrong. Since 1960, and more recently 1999, SETI (Search for ExtraTerrestrial Intelligence) researchers have been searching for that "magic" in the form of radio, and now optical, electromagnetic signals. 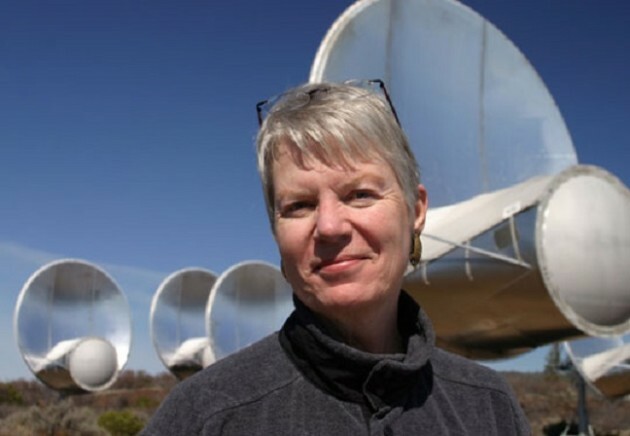 These searches need to continue and grow utilizing the exponentially increasing capabilities of computing, but within the SETI field, we've always reserved the right to get smarter. In 2014, Karl Schroeder (Canadian futurist and science fiction author) suggested a variant of the Third Law; Any sufficiently advanced technology is indistinguishable from Nature. What opportunities does this increased scope of the Third Law offer to our own 21st century search for life beyond Earth? As we design and implement the next generations of ground and space based observatories, some of whose primary goals are the imaging of exoplanets and the spectroscopic analysis of their atmospheres, we should consider how we might distinguish between the byproducts of microbes and mathematicians. We are vigorously discussing/debating the right instruments to develop and fly to find biosignatures - how can we find the technosignatures of the mathematicians? The upcoming decades will present exciting opportunities to explore the physics of merging supermassive black holes from the multi-messenger perspective. As the gravitational wave spotlight includes mergers of more massive black holes than those discovered thus far, the electromagnetic identification of these candidates and subsequent detailed follow-ups will become routine. Thus, a study of the small-scale environment hosting these events provides the necessary groundwork for future investigations. This detailed study is best carried out in nearby galaxies where we have the ability to resolve the nuclear environment to within tens of parsecs spatial resolution. 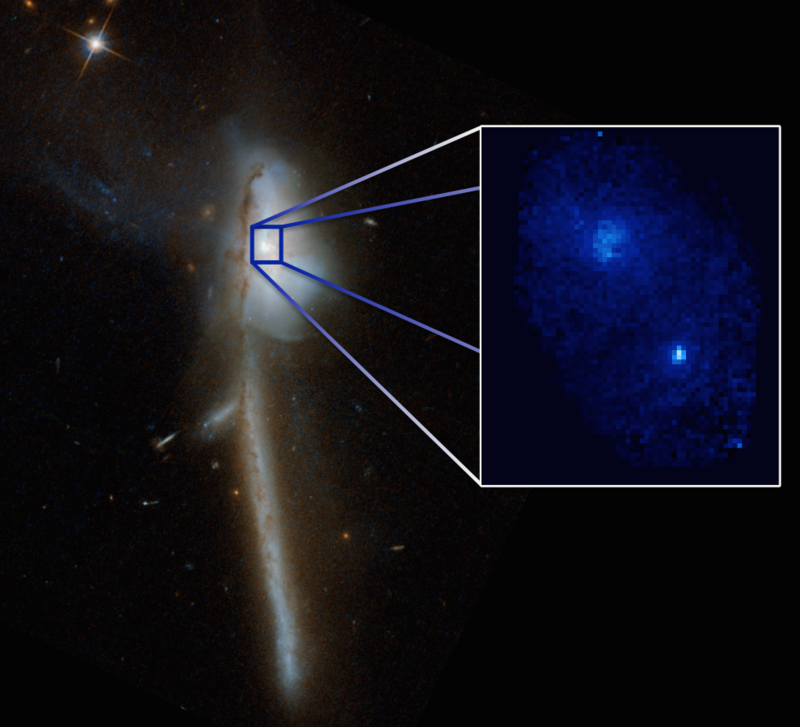 In this talk, I will highlight results from our Keck OSIRIS AO LIRG Analysis survey, the first key survey to probe the nuclear gas kinematics in nearby interacting galaxies on scales comparable to the sphere-of-influence regions of the central black holes. I will also outline a time-domain reverberation mapping study that examines the broad line regions of accreting black holes, and how it may be applied to identify binary candidates given upcoming large surveys. The power of high-resolution studies in dissecting how systems dynamically evolve will become indispensable for understanding the astrophysics of merging supermassive black holes as we enter an exciting era of astronomy with the imminence of the James Webb Space Telescope, 30-meter class telescopes, and beyond. Over the past two decades thousands of planets with an extraordinary diversity of properties have been discovered orbiting nearby stars. 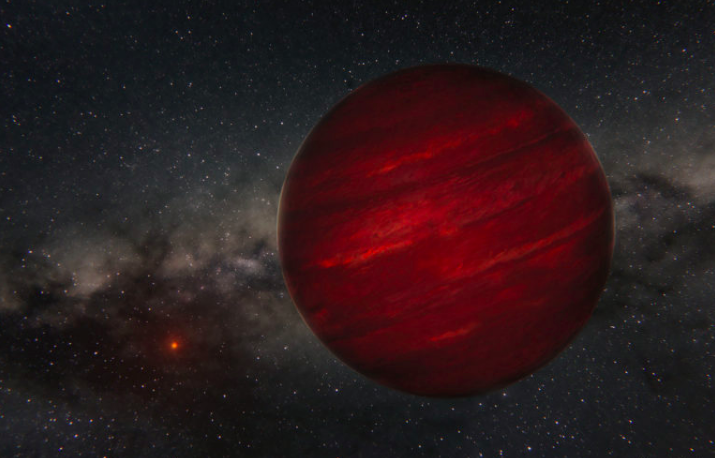 Many of these exoplanetary systems challenge our narrative for how planets form and evolve, motivating the search for observational clues to the underlying mechanisms that led to this diversity. In this talk I will describe my work using a wide range of techniques to uncover these underlying mechanisms. First, I will constrain the physics of gas giant formation and evolution by discerning population statistics, system architectures, rotation rates, and atmospheric compositions of gas giant planets. I will then discuss the effect that outer gas giants have on the inner architectures of planetary systems by exploring differences in inner planet masses, separations, multiplicities, and orbital properties. Finally, I will highlight the key role that next generation instruments and telescopes such as the GMT will play by extending these novel observations to entirely new classes of planets. 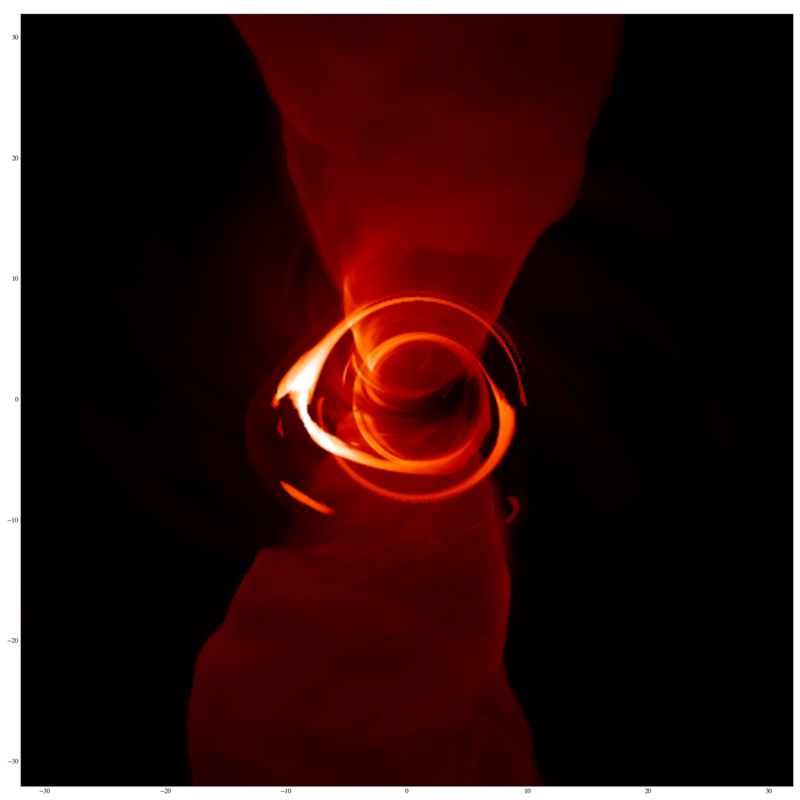 The Event Horizon Telescope (EHT), a mm-wavelength very long baseline interferometer (VLBI), aims to take the first ever resolved image of a black hole at event horizon scales. I will discuss how I use numerical simulations to characterize the effect of intrinsic source variability and deviations from the Kerr geometry on interferometric observables. I show that intrinsic source variability will significantly affect conventional image reconstruction techniques and that variability must be taken in to account for both image synthesis and model fitting. Furthermore, I explore the utility of Principal Component Analysis (PCA) to characterize the structural variability in GRMHD simulations of Sgr A* and find that simulations can be compactly represented with a PCA-derived basis of eigenimages. This allows for detailed comparisons between variable observations and time-dependent models. Finally, I use parametrized metrics that deviate from the Kerr metric and that can be used to approximate several modified gravity theories, to simulate a large number of black hole shadows. I apply PCA to the set of shadows and show that only a handful of "eigen-shadows" are necessary to reconstruct the full set of non-Kerr and Kerr shadows.